Chocolate is the top gift for Valentine's Day with Americans spending $1.8 billion on candy for the holiday, according to the National Retail Federation. But there's way more out there to delight your sweetie than the cliché box of dark or milk chocolates these days. There's a booming group of small-batch makers and chocolatiers from around the country who are doubling down on craftsmanship and high-quality ingredients. "This craft culture is promoting the idea that chocolate is very complex food and not candy that we mindlessly munch on throughout the day. People want to know more where their food comes from and where it's made," said Michael Laiskonis, the Institute of Culinary Education's creative director, who helms the New York City school's bean-to-bar Chocolate Lab. 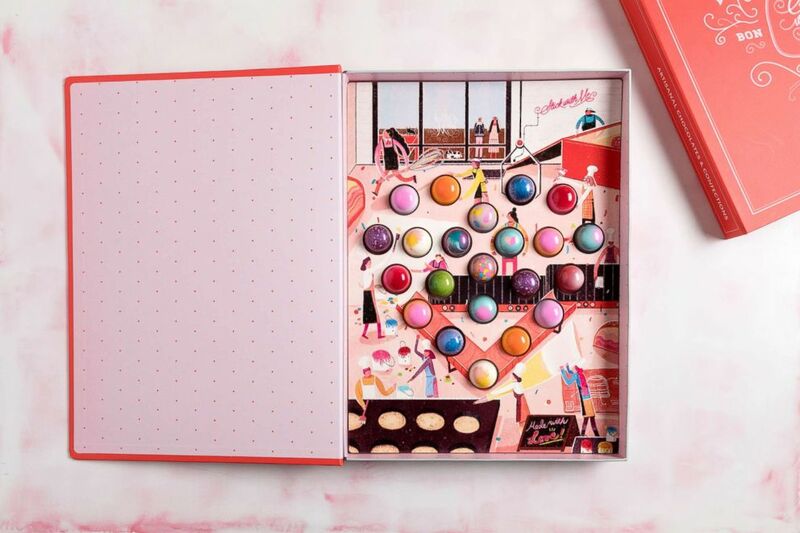 Chocolatiers are making chocolates that are both beautiful and arguably more flavor-forward than ever before and while using their creations as canvas for storytelling. "As complex and as interesting as chocolate on its own is, it's also a great platform for other flavors," Laiskonis said. "We are seeing this in food in general, [chocolatiers] are drawing influences from all over the world, building new flavor profiles that might be unfamiliar to many people -- whether its Asian flavors or flavors from the Indian subcontinent." At Stick With Me Sweets, a boutique chocolate shop in New York City, their signature chocolate bonbons are edible pieces of art. 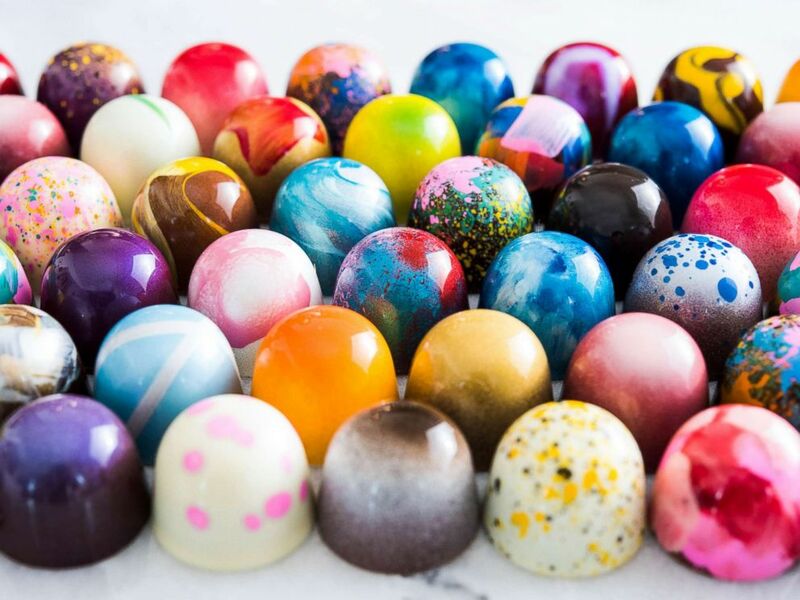 Stick With Me Sweets, a boutique chocolate shop in New York City, specializes in chocolate bon bons that are hand-painted. Yoon, a Per Se alum, handcrafts their signature bonbons until they shine like exquisite jewels. The entire production process takes two to three full days, she says. No detail is too small, starting with the finest of raw ingredients in the creative concoctions: 18 different kinds of chocolate, 10 different kinds of nuts, 22 different fruits and citrus like yuzu, kalamansi and passionfruit, etc., and 60 different colors. The gourmet bonbons have scored Oprah Winfrey’s nod of approval on her annual Favorite Things list. "Her style is colorful ... and the exterior decoration calls out what's in it. She's been doing a lot of interesting things with different textures -- not often you find a piece of a cookie inside of a chocolate bonbon -- or she'll do a riff on a lemon meringue pie, some of the more nostalgic things but done in very refined way," Laiskonis said. Laiskonis lauds Yoo for her texture combinations and incorporating nostalgia at a highly-refined level. "She's been doing a lot of interesting things with different textures -- not often you find a piece of a cookie inside of a chocolate bonbon," he said, "Or she'll do a riff on a lemon meringue pie, some of the more nostalgic things but done in very refined way." For Valentine’s Day, Yoon has a special collection of limited-edition flavors inspired for the holiday. 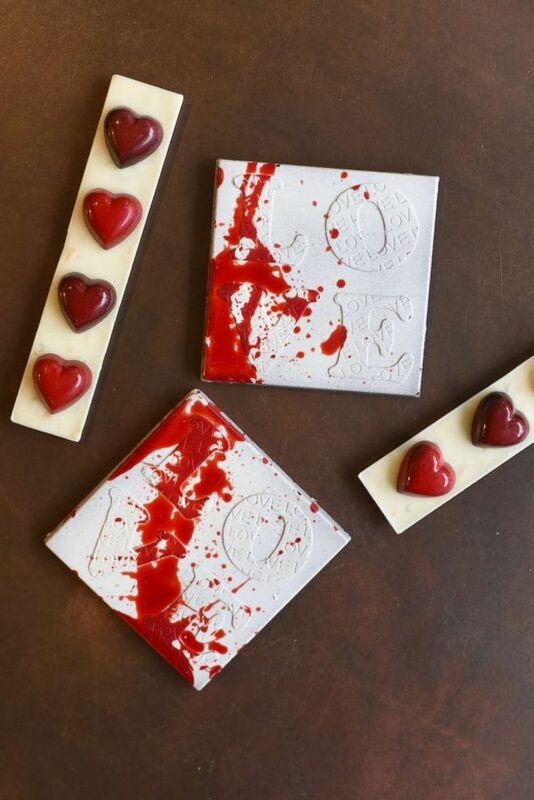 Read on for some more chocolatiers that you can't go wrong with this Valentine's Day -- though you may end up needing to get a box for yourself too. 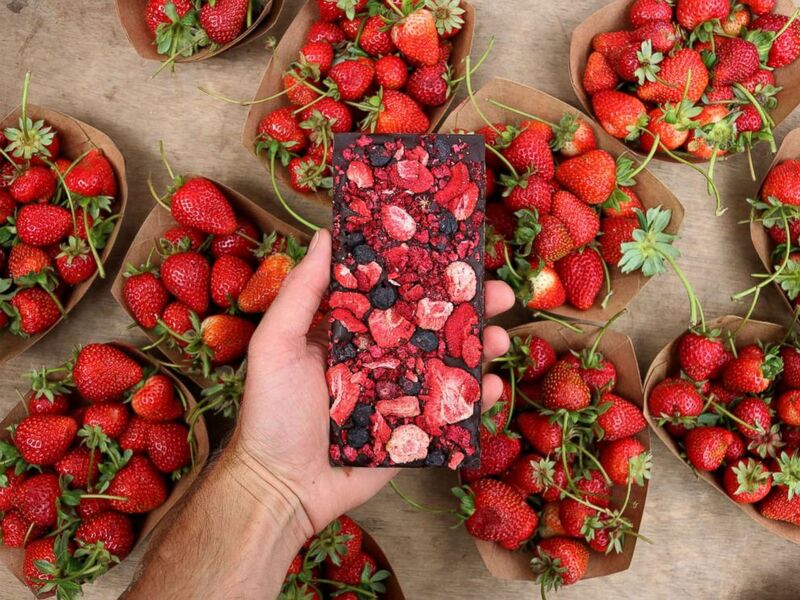 Compartes chocolate bars are anything but basic. 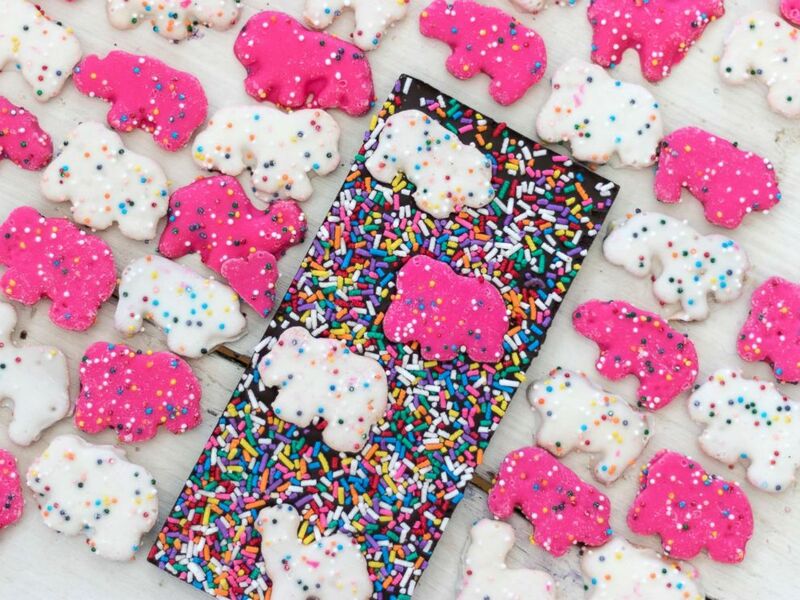 The Los Angeles-based company handcrafts their Instagram-worthy chocolate bars using gourmet chocolate and locally-sourced ingredients for a final product that's beautiful and playful. 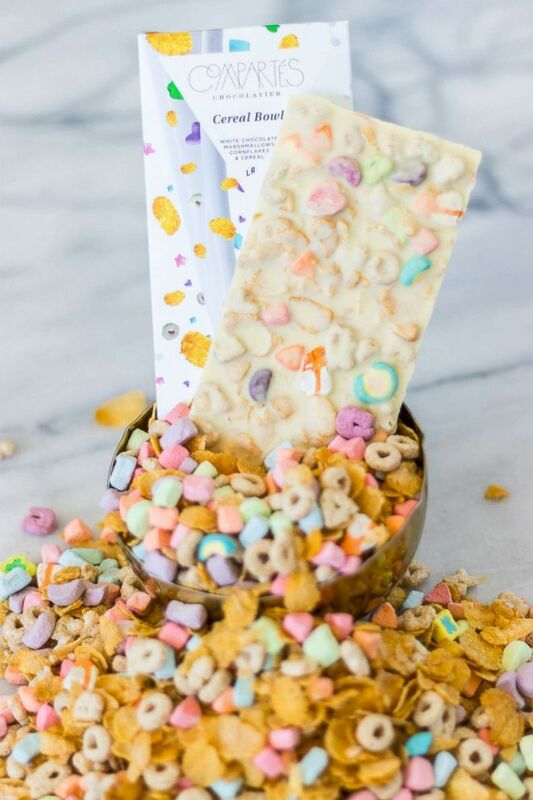 Unleash your inner kid with flavors like birthday cake, cereal bowl, animal cookies covered in dark chocolate, or try an exotic flavor like avocado or rose. 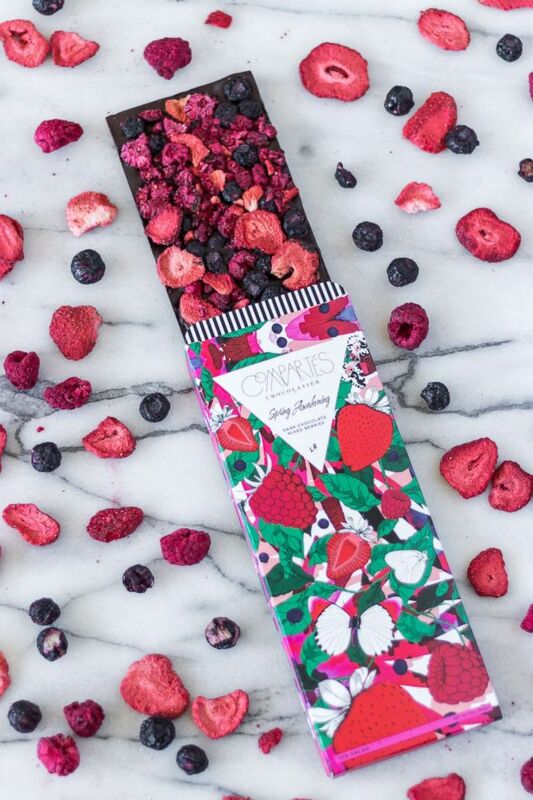 Compartes, a Los Angeles-based chocolate brand, are made by hand by a small team of chocolatiers and chocolate artists. Pastry chef Marc Aumont is the mastermind behind Gabriel Kreuther's specialty chocolate store, adjacent to the restaurant in New York City. Aumont takes pride in different flavor combinations and an ever-changing seasonal menu. Laiskonis described Aumont as a “philosopher when it comes to chocolate," drawing on deeply personal influences for his bonbons. Take a honey saffron flavor inspired by Aumont's mother who picked flowers where saffron comes from, and a pumpkin seed mole flavor with sesame praline, made using a mole from a taqueria in Jackson Heights in the ganache. The French chocolates are incredibly elegant and refined. Give the gift of chocolate, or treat yourself. 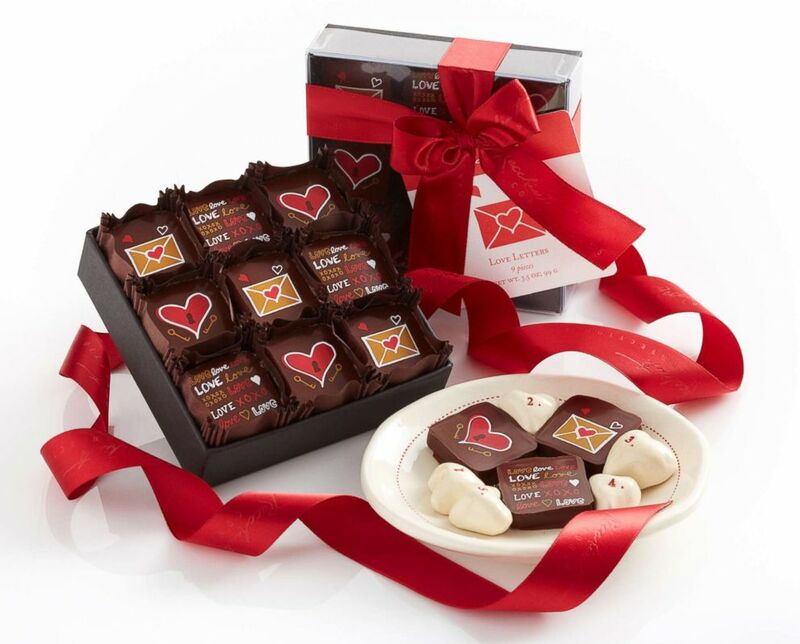 Our #VDay chocolate boxes are now available for pre-order. 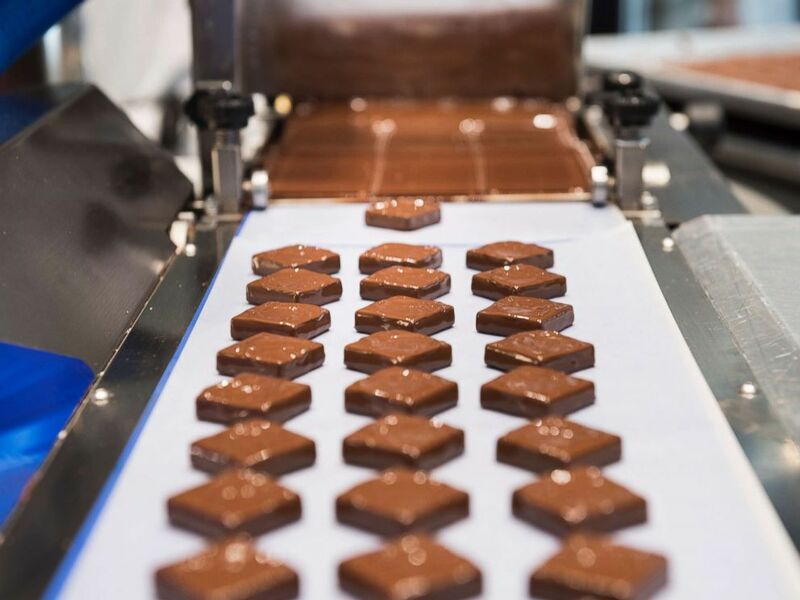 At Kreuther Handcrafted Chocolate, an enrobing machine at work making specialty chocolates. Pastry Chef Marc Aumont takes pride in different flavor combinations and an ever-changing seasonal menu. The premiere chocolatier in San Francisco is beloved for fan favorites like their signature burnt caramel truffles. They use a cold-infusion process for some of the truffles to steep fresh herb into the dairy cream, just as you would make tea, Recchiuti explained to ABC News. Then they squeeze that through an apple cider press to extract as much of the liquid to get the optimal flavor. The result: flavors like sesame nougat, to star anise and pink peppercorn infused in milk and semisweet ganache, or spring jasmine tea. There’s something for traditionalists and those looking to explore new and well-balanced flavor combinations here. 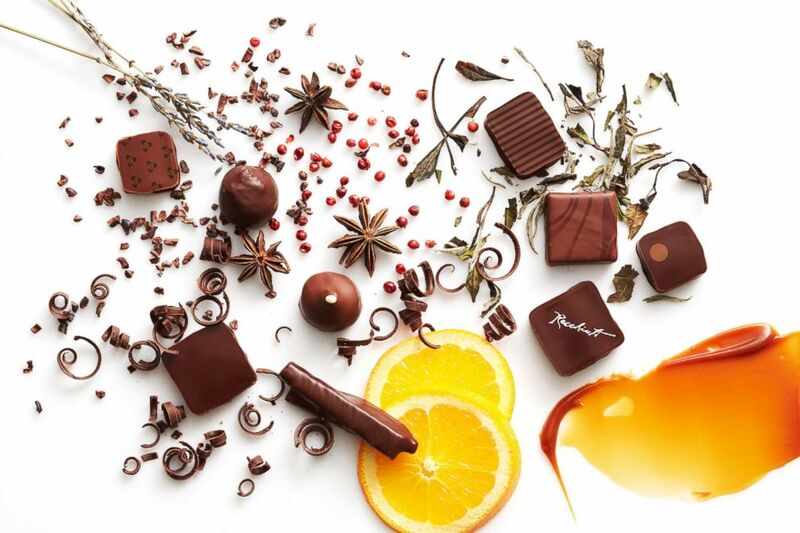 Michael Recchiuti, a premier chocolatier in San Francisco, has a new collection with 9-pieces of their signature dark chocolate caramel chocolates. Michael Recchiuti's 16-piece collection includes fan-favorite flavors like Recchiuti's signature Burnt Caramel, Force Noir, and Piedmont Hazelnut.